The United States remained the most active region, although aggregate deal value decreased by 16 per cent year on year. However, deal volume surged with a record 12,400 individual deals, largely due to an increase in transactions with a value of less than US$1 billion. The relative decline in mega-deals in 2017 is largely attributable to continued regulatory uncertainty, particularly in the United States, where President Donald Trump's electoral rhetoric on antitrust has led to an increase in scrutiny for M&A deals. 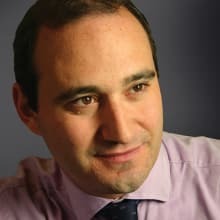 In Europe, however, continuing uncertainty arising out of the stuttering progress in the Brexit negotiations and a number of significant elections within the European Union did little to halt the momentum of the M&A market as aggregate deal value in Europe increased by 12.1 per cent in 2017 to reach a post-financial crisis high of more than €830 billion. Notably, the industrials and chemicals M&A sector flourished, with record high aggregate deal value and deal volume. Chinese outbound M&A was limited during 2017 by both a new capital-controls regime and increased scrutiny from the US and European governments. On the back of tax reform in the United States and encouraging economic growth in Europe, the first quarter of 2018 has displayed record-breaking deal-making activity. However, global political uncertainty presents a threat to global M&A in 2018. Although there were positive signs from the European M&A market in 2017 and Europe registered the largest year-on-year increase in deal volume in the first quarter of 2018, the rise of anti-EU populist parties threatens to derail the buoyant global M&A market. Notably, the election of an anti-EU populist government in Italy, formed from a coalition of the Five Star Movement and the League, threatens to unnerve foreign investors and increase uncertainty about the integrity of the eurozone. In addition, President Trump's imposition of tariffs and protectionist instincts have raised concerns about the possibility of a global trade war. It is hoped that a resolution to Brexit-related uncertainty and a settling of trade worries will foster an environment in which markets can thrive. All that being said, markets have shown during the past two years that despite an ever-evolving geopolitical landscape, there are numerous opportunities for those market participants who are keen to pursue them. 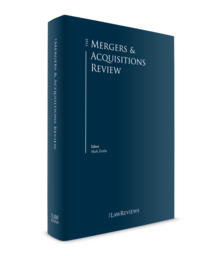 I would like to thank the contributors for their support in producing the 12th edition of The Mergers & Acquisitions Review. I hope the commentary in the following 50 chapters will provide a richer understanding of the shape of the global markets, and the challenges and opportunities facing market participants.